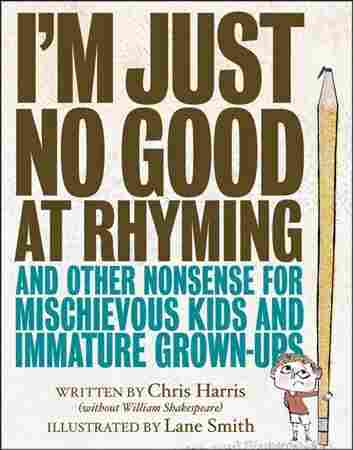 Finally, A Book Of Poetry For Kids Who Are 'Just No Good At Rhyming' Chris Harris had never written a children's book before — but he wanted to write something special for his kids. His new collection of short-form poems is silly, surprising and full of wordplay. Who says poetry has to rhyme? 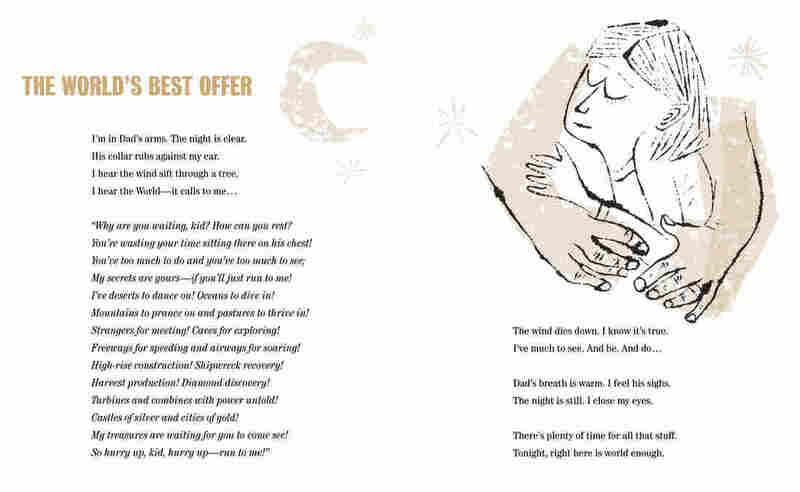 Chris Harris — a writer and executive producer for How I Met Your Mother — had never written a poetry book or a children's book before, but he wanted to write something special for his own kids. 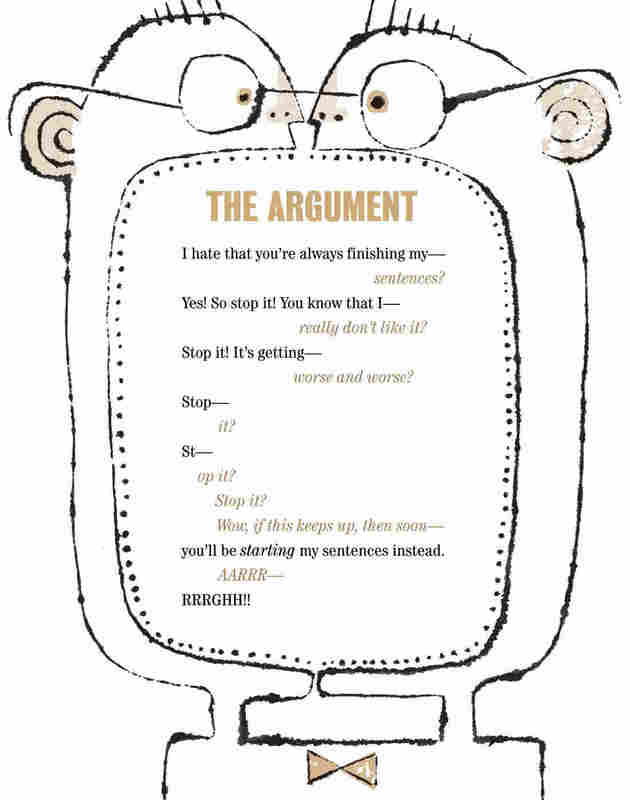 So he created a collection called I'm Just No Good at Rhyming: And Other Nonsense for Mischievous Kids and Immature Grown-Ups. It's a book that's completely unconcerned with the "rules" of poetry. I'm just no good at rhyming. It makes me feel so bad. The poems are silly and surprising and full of wackiness and wordplay. The book is illustrated by Lane Smith. It really started with my kids. ... I've been a TV writer for a while, but once they came around, I really wanted to write something special for them. And as parents of young kids understand, you don't get a lot of sleep. So short-form poetry was just about all that I had the brain capacity for. But when you have children, there's — at least for me — I think for a lot of parents, there's a little bit of: Oh, yeah, I remember what it's like to be a kid. And I think that brought back all of those instincts to try my hand again at it. I have loved creating it with them. The fact that it's seeing the light of day with many more people is a huge bonus and an honor for me. I hope people can take away this excitement that I was sharing with my own children about — look at all that you can do with words. I remember reading and seeing some of the most formative books and TV shows and movies when I was growing up — things like The Phantom Tollbooth and even Monty Python — and thinking, oh, my gosh, I never knew that I could do that. I never knew that someone could do that. I wonder what else I can do? And I would love if X number of kids read this and also said, wow, I didn't know you could do that. I wonder what else I can do? Oliver Dearden and Viet Le produced and edited the audio of this interview. Beth Novey adapted it for the Web.